For Bitcoin and cryptocurrency traders, it’s important to have as many trading tools available as possible. This means not only tools to go long Bitcoin but also tools to short Bitcoin, especially in bear markets. This post will cover how to short Bitcoin. As you’ll see, there are simple ways to do this. Hopefully, this post demystifies shorting and gives you a great new weapon to add to your arsenal. In 2018, we can say the Bitcoin market has dropped somewhere around 60%. As we’ve analyzed bear markets before, this is on par with The Great Depression, The Cuban Missile Crisis, and other major historical bear markets that had people literally jumping from buildings. Being able to take advantage of this trend via short trades is very valuable. As covered in the post announcing our Market-ML Index, trading involves risk, but one of the ways you can reduce risk is to trade in the direction of the general market. This means seeking signals for long trades in a bull market while seeking short signal trades in a bear market. Even the best signals will be wrong. But if random factors and general directional bias are in your favor, the overall odds will be better of a profitable trade. Sharp, sudden moves are much more likely to occur in the direction of the general market. This means you are more likely to see flash drops in bear markets. Indeed, this has happened numerous times in 2018. These drops blow through stop losses and most market participants completely off guard. 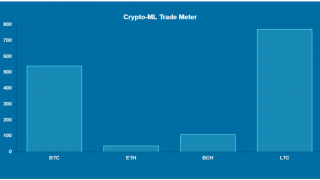 To help Crypto-ML members gauge the overall market dynamics, we rolled out the Market-ML Index which can be seen on the Member Dashboard. With all of this in mind, many cryptocurrency traders do not know how they can short Bitcoin during bear markets. 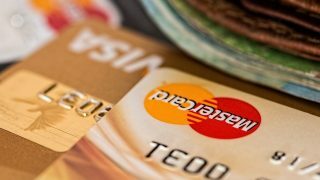 Crypto-ML will release signals for shorting Bitcoin soon. Here are options available to cryptocurrency traders. While some of these apply to broader cryptocurrencies, Bitcoin has the greatest number of options. The best way for most people to short sell Bitcoin is by using Futures. In fact, using Bitcoin Futures for both long and short trades is extremely effective and potentially the best choice for any Bitcoin trading. Two of the major Futures Exchanges have Bitcoin Futures available, the CBOE (Chicago Board Options Exchange) and the CME (CME Group/Chicago Mercantile Exchange). While Futures trading has many unique details, it is similar to trading stocks. Whereas Options are highly complex, the concepts in Futures are easy to grasp for most people. But the best part is many common trading platforms and traditional services offer easy access to Futures trading. For example, in TD Ameritrade (a highly popular brokerage in the US), you can simply search for the symbol /XBT to find the CBOE Bitcoin Futures contract. If your standard investment brokerage has Bitcoin Futures, you may need to fill out a form to gain access to Futures in general. But once you do, you can easily short sell Bitcoin just as you would a stock. Futures are traded based on margin, which can allow you to accelerate your gains (and losses) so please be sure you understand your risk on individual trades. On TD Ameritrade, it’s as simple as filling out a couple of forms. Upon completion, you’ll be approved for Futures trading and can starting buying long and short contracts for Bitcoin. An account approved for Futures trading. If you want to stay in the crypto world, many cryptocurrency trading platforms and exchanges allow for shorting via margin trading. While the execution is handled via the “margin” concept, the interface is quite simple. 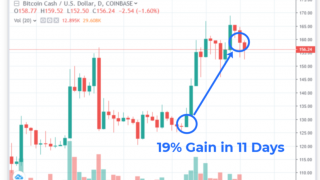 In other words, they have solutions for shorting built in–you just have to know where to look and how to execute short trades. A simple Google search will help you discover if your favorite platform allows shorting via margin trading. Some exchanges, such as Coinbase Pro, do not offer shorting via margin trading (Coinbase Pro FAQ). Although this is subject to change as GDAX (prior branding of Coinbase Pro) did offer it in the past. 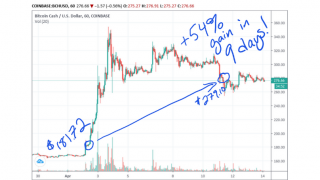 For most, this the most advanced type of Bitcoin shorting, but if you’re an options trader already, it may be perfect for you. This simplest choice is to buy Puts on Bitcoin, but of course, there are countless ways to achieve profit in a down market with Options. Options trading can be accomplished by using a platform that offers Cryptocurrency Derivatives (such as Ledgerx). You can also do this through more traditional platforms by taking out Options on Futures (such as on TD Ameritrade). As a trader, one way you can manage risk is to swim with the current. 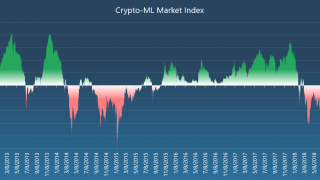 Crypto-ML’s Market-ML Index provides a great tool for identifying the overall market trend. With the upcoming short signals, you can seek profitable trades during bear makets. Knowing your options for shorting cryptocurrency now gives you the ability to work with the market and best manage your risk. 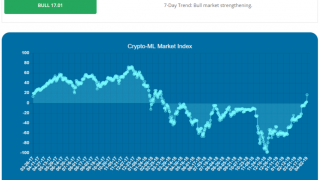 If you are a Crypto-ML member, you can see the Market-ML Index on the Member Dashboard. If you are not yet a member, you can join the waitlist. Thanks for reading!